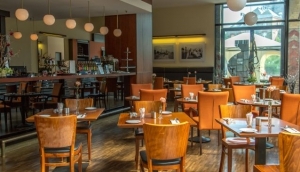 At Berlin's International restaurants you will be dazzled by the selection available. Difficult to pigeon hole, these restaurants offer modern, contemporary dishes without restricting themselves to one national cuisine. In these international restaurants you will find local Berlin and German specialties alongside pastas, fish and meat dishes which draw their inspiration from further afield. If you are dining as a group, international restaurants make a great choice due to the variety on offer, with everyone able to find something to their tastes. My Destination Berlin's local experts have put together a list of the best international restaurants in Berlin... all you need to do is enjoy! GENERATION WILD – Let the crazy in you out at this wild party where anything goes. LEO, the globally celebrated show export from Berlin, returns for two days to the stage of the CHAMÄLEON Theater. André Kirchner's pictures of the reunited city along its historical border.